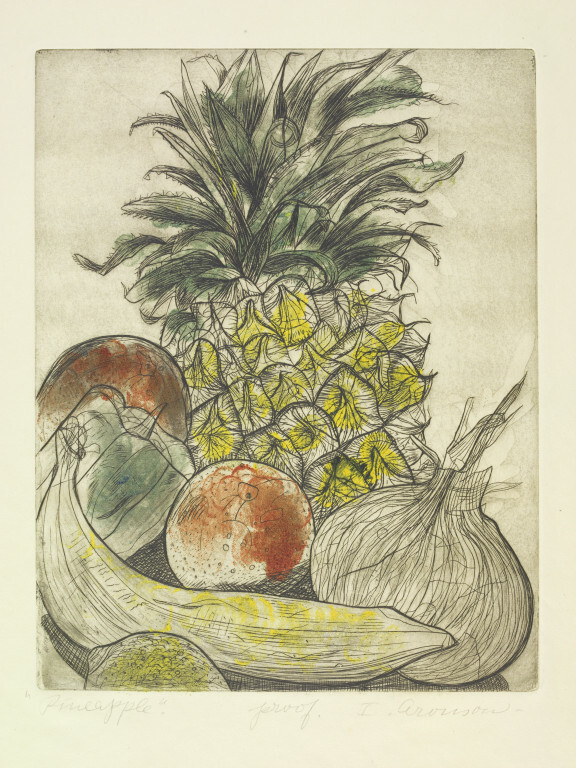 Colour print depicting a pineapple. 'Pineapple'. 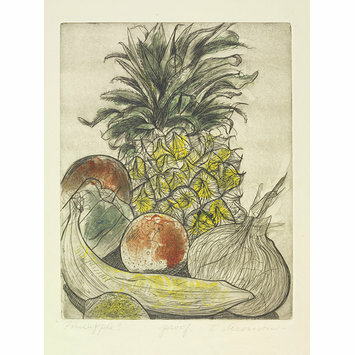 Colour engraving and aquatint by Irene Aronson, mid-20th century.